Hiding in my studio... in 2013 or early 2014 I think. Still a bit of an art hermit. The most common message I receive on social media, emails, in groups, or directly from individuals who start drawing, painting, or getting involved in any visual art is "How do I get my work and my name 'out there'?" This is a marketing question that has little to do with improving one's technique... and also I am a bit of an art hermit but I am still going to try to address these questions, or rather this overarching topic, here. Upon many requests... Here is the advice in a blog post. If you don't want this important early stuff, scroll to the bottom for the marketing stuff. Focus on your WORK, and make LOTS of GOOD work. Try to make art every day if possible, or do something creative to feed your art practice. Even if it's not "good" as a final product, you are developing your muscle memory, honing your fine motor skills, and working on your studio practice...figuring out what works best for you in the time you have. The more you do it, the more your "style" will emerge without you having to force it. Even a little doodling every day will help you improve over time! EDIT your work. Not everything that poops out of your studio is going to be a masterpiece. I was going to correct that word in the previous sentence to "pop" but leaving it, for emphasis, because yes... I have made some real bombs before! We simply figure this out and move on. It's not a waste of supplies or a signal you're doing wrong or should not be an artist...it's a learning experience. Copy to LEARN, but do not copy to sell. Copying work to learn a process is a common atelier practice, but "this artist's work is selling so I just need to make this to sell also!" is NOT a sales technique. There is only one caveat to this... if you decide you want to be a reproduction artist and make reproductions of old masterworks whose copyrights have expired, and can do them well, there is a market for them... but repro Van Goghs and Monets do not fetch a lot of money (sometimes will sell for 39.95-ish price points on eBay and Etsy). If you copy a living artist's work you can suffer legal consequences. Did someone copy you?? Then do whatever you think to do to resolve it, and...(and this is only what I tell myself, so your personal mileage may vary) make harder work. If they cannot do it, they cannot copy you, and you just pushed yourself into being better at your own work. Develop your following through actions like sharing your art and participating in shows, not begging for "likes" and "follows".... One of the most amazing artists I know had maybe 30 "likes" on her Facebook page while she made plenty of money...so this stuff should not really matter. I have maybe seen one venue that booked artists that cared about this sort of thing, and now they are out of business. Likes do not keep a roof over our heads (except maybe some bills over at Facebook via ad revenues), jobs and sales of our work does. For Marketing....Now that you have a body of work (because you did the stuff above)...you can market it! You will want all the usual materials-- a website or blog to direct your viewers and potential patrons (social media does not count! ), some business cards or handouts or something tangible to give potential buyers during in-person interactions (not everyone is online and with privacy issues more people are choosing to cut cords with these things and appreciate in-person, quality interactions and relationships. And, you need some materials that visually describe your image as an artist, preferably as authentic as possible and not crafted or staged, except for maybe your professional headshot if requested: images of you working in your studio, a few candid shots that show your personality and aesthetic as an artist (you may have plenty of these already! 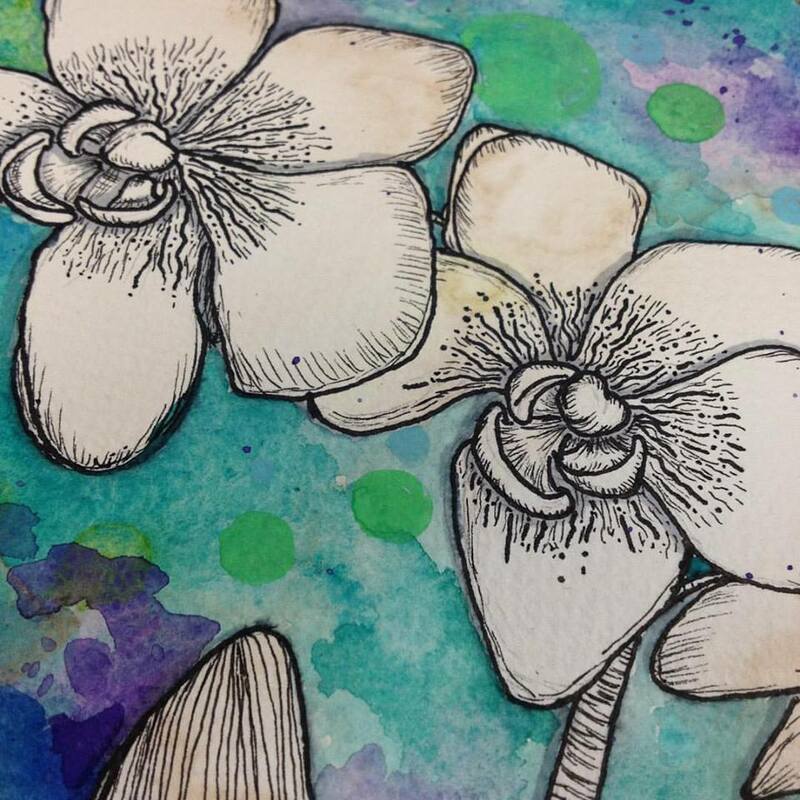 ), process shots of your work, close-up and detail shots of the work so that gallerists and buyers can see what they could see in person but may not necessarily see on your website. These are all things you can share over social media or in blog posts or as needed, and will need to make more of over time and as you work. These are pieces of the puzzle that you will use to make valuable contributions to interactions that cause your audience to perk up and notice your art. 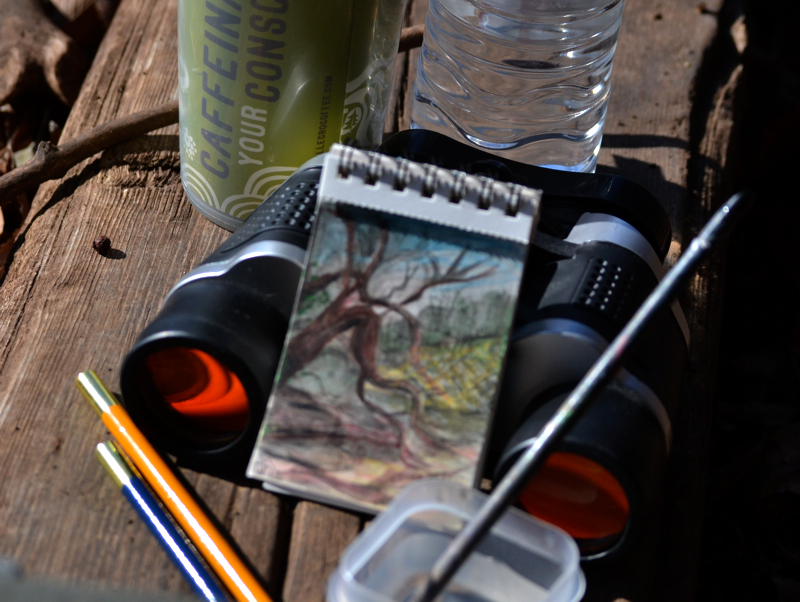 Sketching outdoors, Nature art and creating with nature is part of my personal niche.